Arrival at Colombo International Airport, after clearing the Immigration met by our representative and transfer to Bentota. Bentota is located 64km south of Colombo in the South-western coastal belt of Sri Lanka. On the Colombo - Galle main road, just across the Bentota Bridge over the River Bentara is the coastal town of Bentota. It is a very pretty rural area. The greenery of the landscape is especially striking. Most of the areas are well shaded and sheltered by tall trees with the coconut palm trees dominating the landscape. The Bentota National Holiday Resort Complex is the most popular beach resort of Sri Lanka, featuring fully-fledged support and serve infrastructure. With an array of luxury hotels, facilities and amenities for the foreign tourists, Bentota provides the perfect location for extended holidays at the beach. Furthermore, for the lovers of water sports, Bentota, in addition to its pristine palm fringed beach, brings in still more pleasures nowhere else to be found, by virtue of River Bentota Ganga and Bentota lagoon. Check in at the hotel and rest of the day free at leisure. Overnight stay at the hotel in Bentota. After breakfast at Vivanta by Taj Bentota. Proceed to Galle on route witnessing a Turtle Conservation Project at Kosgoda and visiting a traditional mask workshop at Ambalangoda, then proceed for sightseeing tour of Galle (a UNESCO World Heritage Site). Located at the southern end of the western coast of Sri Lanka, Galle enjoys a nice coast line. It has been the most prominent seaport before the western rule of the country. The modern history of Galle starts in 1505 with the occupation of Galle by Portuguese who fist established a Fort in Galle. In 1640, the Dutch took over Galle and it was them who built the Fort in the year 1663 in the way it's seen now. It comprised of a solid granite fortified wall and three bastions and a developed town center. Galle is also famous for handicrafts, handmade lace and jewelry. Return back to hotel and rest of the day free at leisure. Overnight stay at Vivanta by Taj Bentota. Breakfast at Vivanta by Taj Bentota. Rest of the day free at leisure until afternoon. In the afternoon, check out from the hotel and transfer to Colombo. Check in at Taj Samudra Hotel. Rest of the day free at leisure. Overnight stay at Taj Samudra Hotel in Colombo. After Breakfast at Taj Samudra Hotel proceed for sightseeing tour of Colombo. 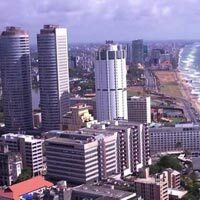 Colombo is the commercial capital and the largest city of Sri Lanka. It is a busy and a vibrant city with a mixture of modern and colonial forms. 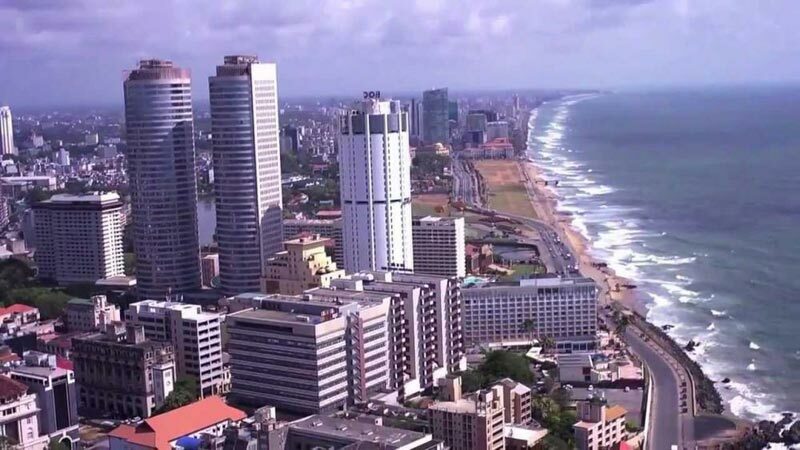 Due to its large harbour and its strategic position along the East-West sea trade routes, Colombo was known to ancient traders since thousands of years ago. It has been the capital of the island since the British colonial time. The city is home to a majority of Sri Lanka's corporate offices, shopping and entertainment venues. Famous landmarks in Colombo include the Galle Face Green, the twin tower World Trade Centre, British time buildings in Colombo Fort, the Town Hall, Vihara Maha Devi Park, Gangarama Temple, the Independence Square, Bandaranaike Memorial International Conference Hall. The modern shopping malls and specialty stores carry high quality goods at very affordable prices. Retun back to the hotel and rest of the day free at leisure. Overnight stay at Taj Samudra Hotel in Colombo. After breakfast at Taj Samudra Hotel check out from the hotel and transfer to Colombo Airport for departure.